It’s obviously a highly regulated sector where operators bear the heavy responsibility and meaningful reward of keeping pre-schoolers safe and entertained whilst nurturing the next generation. Qualifications or some level of experience in the sector are therefore advisable for anyone considering buying a childcare business. You should also be motivated by loftier aims than simply making money. Two other challenges complicate life for child care operators in Singapore: a skills shortage and high lease costs. This double whammy makes it all the more difficult to meet the needs of pre-schoolers – developmental, nutritional and, most of all, safety-wise – all while still turning a profit. And yet Singapore remains a highly hospitable place to run a business. The city-state ranked second in the World Bank’s Ease of Doing Business rankings for 2018 and Forbes has rated Singapore as the 12th best country in the world for conducting business. Despite the country’s low birth rate, there remains a shortage of pre-school places for children up to four years of age. There are several explanations for this. First, this multicultural city-state has a highly skilled, educated workforce with high numbers of women returning to work after having children. Vying with Hong Kong for the mantle of Asia’s financial hub, it has a large foreign labour force (although those numbers are shrinking), many of whom don’t have extended family nearby to share childcare duties. It’s an affluent country too; ranking 27 of 176 countries for disposable income. 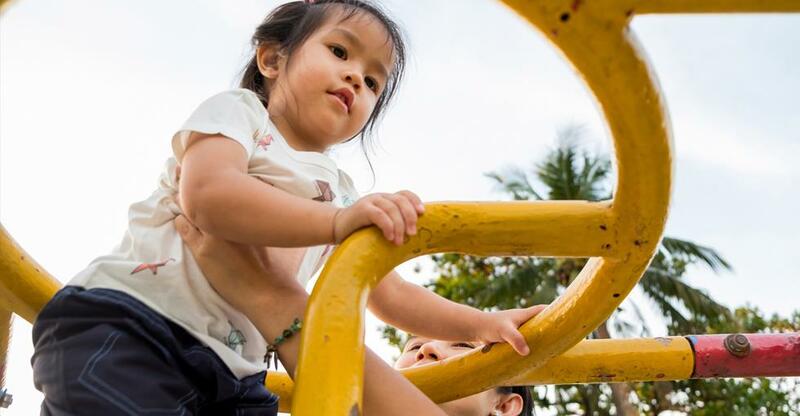 If Singaporeans can afford paid childcare more than their counterparts in most nations, then government subsidies available to Singaporean citizens are a further boost to demand. Subsidies for working mothers are S$300 a month for childcare and S$600 for infant care (and even S$150 a month for non-working mothers), therefore this surely persuades some new mothers that they can afford to return to work. But government intervention in the sector isn’t entirely benign for small, private operators. Two government schemes provide substantial funding to selected non-profit providers or private operators with non-profit arms to boost the quality of provision, and cap fees, for low-income families. Launched in 2009 the Anchor Operator Scheme so far comprises five large operators. And from 2016, a further 169 childcare centres, owned by just 23 operators, were given funding to offer 16,500 places under the Partner Operator Scheme. These subsidies do give accredited operators a huge edge at the budget end of the market. However, there remains a shortage of pre-school provision overall and there’s no state-funded competition for the mid- or top-end of the market. And perhaps small independent operators might get the chance to benefit from government plans to create 40,000 new childcare places through the initiatives – 30% more than now – by 2022. If the sector is eclectic in terms of fees and philosophy, then this is obviously reflected in the range of childcare and nursery businesses for sale and their asking prices. Businesses listed for sale include, as an example, a leasehold childcare business seeking a price of S$550,000, which buys you premises measuring 2,400 square feet. Another example is a franchise, which buys you training in following a proven system, marketing support and the benefits of a well-known brand. Blossom Edugroup claims to offer an “innovative and effective pre-school programme that caters to children with varying learning abilities and different learning styles.” Catering to children aged 18 months to six, it offers full day, half day and flexi-programmes. Parents primarily want their offspring entertained, nurtured developmentally, fed nutritional food and even prepared for the education system. Most of all, they want them to be safe – which is where regulatory compliance comes in. Conduct your due diligence on a childcare provider for sale with these considerations in mind. How many children can it accommodate and how much space is there for kids to explore and run around? Is it consistently oversubscribed or undersubscribed? Don’t assume that high fees equate to high quality. Dr G Kaveri, a lecturer on Singapore University of Social Sciences’ early childhood education programme, told Channel News Asia there is "no reliable correlation" between fees and quality. This is, rightly, a highly regulated sector, so it is always best to read the Child Care Centres Regulations under the Child Care Centres Act to find out your obligations if you’re entering the industry. According to this guide by the industry regulator the Early Childhood Development Agency, securing a licence is conditional on opening “throughout the year except on Sundays and gazetted public holidays”, opening no later than 7am and closing no earlier than 7pm. There’s a chronic shortage of pre-school teachers in this labour-intensive industry, where training is intensive and pay rates modest. Anchor operators, which enjoy grants for recruitment and training, make recruitment and retention harder still for those operating outside the scheme. The government sought to remedy the problem by launching the Early Childhood Manpower Plan in 2016. By providing fresh opportunities for professional development, the Early Childhood Development Agency hopes to attract another 4,000 educators to the sector by 2020. From 2019 the new National Institute of Early Childhood Development (NIEC) will offer diploma and certificate programmes to give pre-school professionals a status equal to that of counterparts in primary and secondary schools and colleges. In a sector where performance is so-so and demand outstrips supply, there’s a clear opportunity to thrive by improving any childcare centre you might acquire. Unless you’re in the market for an anchor operator or a provider large enough to become one in the next application round, this is most likely achieved in the mid- or top-end of the market. The skills shortage and high commercial rents will be among your biggest challenges. Comments made to Channel News Asia by Ng Yi-Xian, executive director at anchor operator EtonHouse International School, suggest that securing a long lease is wise – albeit difficult. “It is challenging to find suitable sites with a long-term lease,” he said. As for recruitment and retention, strengthening continuous professional development through training and mentoring programmes can help. A clearly structured hierarchy, meanwhile, will motivate staff to improve and make them feel they can increase their salary through promotion, not just by securing employment elsewhere. Finessing the quality of childcare provided is obviously pivotal. Read the latest science on childhood development and trends around teaching practices. Attend conferences on these topics, networking with experts, both in Singapore and overseas. Can you make better use of your facilities than your predecessors? Perhaps the outside space could be repurposed to introduce gardening activities, for instance. Singapore has wide linguistic diversity so having multilingual staff can broaden your pool of potential customers. Introducing support services for children with disabilities or learning difficulties would do likewise. You might also diversify revenues by branching out – space permitting – beyond childcare into kindergarten. Parents often speak highly of schools that send regular, detailed updates on their child’s development. But of course, all these things require investment in training or recruitment of specialists on higher salaries. Introduce experimental new curriculums without first consulting or training staff is likely to be counterproductive. It’s also a balancing act between minimising the child-teacher ratio and providing top-class facilities and keeping fees affordable to your target market and making enough money to survive and thrive. Ultimately, in this business, nothing is more important than the safety, development, and enjoyment of the next generations.